Can a LAP-BAND Be Converted to a Gastric Bypass? Patients who have had the LAP-BAND® System treatment may be interested to know that this procedure can be converted to a gastric bypass or a gastric sleeve. There are a few reasons why an individual may wish to switch from one weight loss surgery approach to another. Some patients simply lose more weight after sleeve or gastric bypass surgery than they do with the LAP-BAND® system. 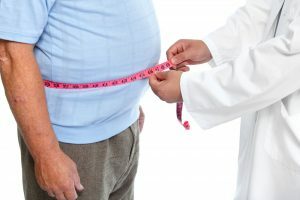 While the failure rate is still low, some of the older bands have a higher rate of failure (defined as when a patient loses less than 25 percent of their excess weight) than with other bariatric surgeries. If this situation applies to you, our extensively trained bariatric surgeon, Dr. James Parrish, can help you determine whether converting your gastric band is right for you. The LAP-BAND® System is not designed to be a temporary technique; however, it can be removed. Once the band is taken out, a Roux-en-Y gastric bypass or sleeve gastrectomy can be performed. These procedures can be completed laparoscopically, which helps to minimize the size of the incisions, shorten recovery time, and reduce the likelihood of complications. During your initial consultation, Dr. Parrish can determine if these methods can optimize your outcome and lead to more successful weight loss. We’re happy to answer your questions and address your concerns. Talk to our skilled medical team today to learn more.